47 posts categorized "Payments Processors"
A news item you may have missed during the run-up to the Presidential Inauguration. The U.S. Federal Trade Commission (FTC) announced settlement agreements with Western Union where the company admitted to money-laundering charges and agreed to pay $586 million in fines and restitution. "In its agreement with the Justice Department, Western Union admits to criminal violations including willfully failing to maintain an effective anti-money laundering program and aiding and abetting wire fraud... According to admissions contained in the deferred prosecution agreement (DPA) with the Justice Department and the accompanying statement of facts, Western Union violated U.S. laws—the Bank Secrecy Act (BSA) and anti-fraud statutes—by processing hundreds of thousands of transactions for Western Union agents and others involved in an international consumer fraud scheme. As part of the scheme, fraudsters contacted victims in the U.S. and falsely posed as family members in need or promised prizes or job opportunities. The fraudsters directed the victims to send money through Western Union to help their relative or claim their prize. Various Western Union agents were complicit in these fraud schemes, often processing the fraud payments for the fraudsters in return for a cut of the fraud proceeds." The FTC alleged in a complaint filed in U.S. District Court for the Middle District of Pennsylvania that the company’s conduct violated the FTC Act. The complaint alleged that fraudsters globally used Western Union’s money transfer system for many years, even after the company was aware of the problems. The complaint also alleged that some Western Union agents were complicit in fraud. Also, the FTC’s complaint alleged that Western Union failed to implement effective anti-fraud policies and procedures, and it failed to act promptly against problem agents (e.g., suspensions, terminations). "The BSA requires financial institutions, including money services businesses such as Western Union, to file currency transaction reports (CTRs) for transactions in currency greater than $10,000 in a single day. To evade the filing of a CTR and identification requirements, criminals will often structure their currency transactions so that no single transaction exceeds the $10,000 threshold. Financial institutions are required to report suspected structuring... Western Union knew that certain of its U.S. Agents were allowing or aiding and abetting structuring by their customers. Rather than taking corrective action to eliminate structuring at and by its agents, Western Union, among other things, allowed agents to continue sending transactions... Beginning in at least 2004, Western Union recorded customer complaints about fraudulently induced payments in what are known as consumer fraud reports (CFRs). In 2004, Western Union’s Corporate Security Department proposed global guidelines for discipline and suspension of Western Union agents that processed a materially elevated number of fraud transactions. In these guidelines, the Corporate Security Department effectively recommended automatically suspending any agent that paid 15 CFRs within 120 days. Had Western Union implemented these proposed guidelines, it would have prevented significant fraud losses to victims and would have resulted in corrective action against more than 2,000 agents worldwide between 2004 and 2012." "Our investigation uncovered hundreds of millions of dollars being sent to China in structured transactions designed to avoid the reporting requirements of the Bank Secrecy Act, and much of the money was sent to China by illegal immigrants to pay their human smugglers... In a case being prosecuted by my office, a Western Union agent has pleaded guilty to federal charges of structuring transactions – illegal conduct the company knew about for at least five years. Western Union documents indicate that its employees fought to keep this agent – as well as several other high-volume independent agents in New York City – working for Western Union because of the high volume of their activity. This action today will ensure that Western Union effectively controls its agents and prevents the use of its money transfer system for illegal purposes." "The U.S. Attorney’s Office for the Middle District of Pennsylvania has a long history of prosecuting corrupt Western Union Agents... Since 2001 our office, in conjunction with the U.S. Postal Inspection Service, has charged and convicted 26 Western Union Agents in the United States and Canada who conspired with international fraudsters to defraud tens of thousands of U.S. residents via various forms of mass marketing schemes. I am gratified that the deferred prosecution agreement reached today with Western Union ensures that $586 million will be available to compensate the many victims of these frauds." Not process money transfers it knows or should know are payments for telemarketing transactions. "The Western Union Company (NYSE: WU) today announced agreements with the U.S. Department of Justice (DOJ) and Federal Trade Commission (FTC) that resolve previously disclosed investigations focused primarily on the Company’s oversight of certain agents and whether its anti-fraud program, as well as its anti-money laundering controls, adequately prevented misconduct by those agents and third parties. The conduct at issue mainly occurred from 2004 to 2012." "As part of this resolution, Western Union will enter into a deferred prosecution agreement with the DOJ and a consent order with the FTC. The Company will pay a total of $586 million to the federal government, which is to be used to reimburse consumers who were victims of fraud during the relevant period. Western Union also will take specific actions to further enhance its oversight of agents and its protection of customers... Over the past five years, Western Union increased overall compliance funding by more than 200 percent, and now spends approximately $200 million per year on compliance, with more than 20 percent of its workforce currently dedicated to compliance functions. The comprehensive improvements undertaken by the Company have added more employees with law enforcement and regulatory expertise, strengthened its consumer education and agent training, bolstered its technology-driven controls and changed its governance structure so that its Chief Compliance Officer is a direct report to the Compliance Committee of the Board of Directors." "... [Western Union] will simultaneously resolve, without any additional payment or non-monetary obligations, potential claims by the U.S. Treasury Department’s Financial Crimes Enforcement Network (FinCEN) relating to conduct in the 2010 to 2012 period that FinCEN contended violated the Bank Secrecy Act. The Company received a notice of investigation from FinCEN in mid-December 2016. The separate agreement with FinCEN sets forth a civil penalty of $184 million, the full amount of which will be deemed satisfied by the $586 million compensation payment under the DOJ and FTC agreements." Part one discussed the challenges and privacy threats smart devices for the home create for consumers. Today's blog post discusses data ownership, and how to shop wisely. You've probably heard the terms: Internet of Things. Smart Home. Connected home. All refer to the myriad of devices in your home that are connected to the Internet, outfitted with sensors, collect information about your usage (e.g., who, what, when, where, why, and how long), and transmit that digital information collected to the device manufacturer and others. The collected information is often shared with corporate partners or affiliates, such as the device's operating system software developer and mobile payments provider. (See this chart for partners by payment type.) Data may also be shared with the Internet Service Provider and/or the wireless service provider (for mobile apps). The types of devices vary far beyond smart phones and tablets. Some include security, lighting, temperature controls, and safety devices (e.g., smoke alarms, carbon monoxide detectors). Some may be toys used by very young children. Some may be fitness devices that collect your health information and transmit it to entities not bound by HIPAA and HITECH laws. This data collection isn't new. It's been happening long before the Internet and smart phones. You might say that digitization and mobilization made the data collection far easier and far more extensive. "According to law firm Taylor Wessing, end users don't really have ownership rights to the data gathered by off-the-shelf systems they've installed. If you've rolled out a smart home set-up, you can't legitimately claim that all the details about when you switched on your lights or opened your garage belong to you and you alone." The term "end users" refers to consumers... you. So, consumers in the United States have few property rights. That means you have little control over the data collection and sharing with others. Not good. Read both the terms of conditions and privacy policies before purchase. If you don't like the terms, don't buy it and keep shopping for alternatives. Buy devices that include regular software updates, just like your computer. This helps protect you (and the data collected about you and your family) against malware, hacks, and computer viruses by unauthorized persons. Buy devices with robust privacy settings, so you can control what information you share, when, and how. What do you consider when shopping for smart devices for your home? Last night, the "60 Minutes" news magazine broadcast an interesting segment about mobile banking in Kenya without banks. Since 80 percent of citizens have mobile phones, the country' took the innovative approach of allowing consumers to easily and securely pay for products and services via their mobile phone provider. Meet M-PESA. Mobile banking without banks. It is possible. It can happen. No bank accounts. No credit reports. No prepaid cards. No payroll cards. No digital wallets. No payment processors. And, Kenyans don't need the latest Apple iPhone or Android Galaxy phone. A far simpler system. Safaricom, the Kenyan mobile service provider, launched M-PESA in 2007. The mobile payments system was designed for the most basic phones with text messaging capabilities. A smart approach that puts consumers' needs first. Mobile devices are marketed in the USA like cars, with slick advertisements that imply: in order to be happy and productive, consumers must have the latest device. The Kenyan M-PESA system proves otherwise. Watch the 60 Minutes segment, "The Future of Money" or read the transcript. What are your opinions of M-PESA? Of banking deserts? "... the International Emergency Economic Powers Act (IEEPA) and the Trading with the Enemy Act (TWEA) by processing billions of dollars of transactions through the U.S. financial system on behalf of Sudanese, Iranian, and Cuban entities subject to U.S. economic sanctions. The agreement by the French bank to plead guilty is the first time a global bank has agreed to plead guilty to large-scale, systematic violations of U.S. economic sanctions." Investigations found that the bank processed $8.8 billion in illegal financial transactions with sanctioned entities.To avoid detection, the bank allegedly routed illegal payments through third-party banks and instructed other banks not to disclose the names of sanctioned entities in those transactions. "BNPP will waive indictment and be charged in a one-count felony criminal information, filed in federal court in the Southern District of New York, charging BNPP with knowingly and willfully conspiring to commit violations of IEEPA and TWEA, from 2004 through 2012." "BNP Paribas also accepts a temporary suspension of one year starting 1st January 2015 of the USD direct clearing focused mainly on the Oil & Gas Energy & Commodity Finance business line in certain locations... BNP Paribas will maintain its licenses as part of the settlements, and expects no impact on its operational or business capabilities to serve the vast majority of its clients... "
"... a new department called Group Financial Security US, part of the Group Compliance function, will be headquartered in New York and will ensure that BNP Paribas complies globally with US regulation related to international sanctions and embargoes... all USD flows for the entire BNP Paribas Group will be ultimately processed and controlled via the branch in New York. As a result of BNP Paribas’ internal review, a number of managers and employees from relevant business areas have been sanctioned, a number of whom have left the Group." The bank generated annual revenues in 2013 of Euros 36.1 million. The current exchange rate: 1.0 Euro = 1.37 U.S. dollars. I congratulate government officials for the investigations and for enforcing the law. I look forward to the results of investigations of banks that worked with BNP Paribus to hide the illegal transaction. However, I have only one question: why are no BNP Paribus bank executives going to prison? The criminal conduct seems to warrant prison time. What are your opinions of the plea agreement by Bank BNP Paribus? Late last month, Maryland Attorney General (AG) Douglas F. Gansler issued a warning for consumers interested in using virtual currencies such as Bitcoin. Many consumers like virtual currencies because of lower transaction fees compared to banks and traditional payment options. "Virtual currency, which includes digital and crypto-currency, is gaining in popularity and controversy. Growing numbers of merchants, businesses and other organizations now accept Bitcoin, one example of crypto-currency, in lieu of traditional currency. Virtual currencies exist with little to no regulation and there is no safety net, such as federally-backed insurance, if you lose your hard-earned money," said Attorney General Gansler. "It pays to know what's in your e-Wallet and the many ways your money can disappear if you're not careful. Unlike the dollar, these highly volatile alternatives are not issued by a government authority and are typically not backed by tangible assets." "Bitcoin and all virtual currencies have inherent risks that Marylanders should consider prior to transacting with or investing in these currencies... The entities that accept and transmit, or exchange virtual currencies for U.S. dollars are subject to federal law, and may be subject to state law, including the requirement to be licensed as a money transmitter. It is important to note however, that Maryland does not currently regulate virtual currencies. I encourage any Maryland resident interested in virtual currencies, to do their homework first." Accounts with virtual currencies are not insured by the Federal Deposit Insurance Corporation (FDIC), which insures bank accounts up to $250,000.The Internal Revenue Service (IRS) has issued some guidance on the tax status of virtual currencies. "One of the major risks of holding virtual currencies is their volatility. Their value can rise or fall substantially over a short period of time... Bitcoins, and others like it, are basically lines of computer code that are valued by the marketplace with no governmental support or oversight. Anyone holding virtual currencies should understand that they could lose a significant part of their investment as the market changes... There are no deposit guarantees like FDIC insurance to protect customer funds held by virtual currency exchanges. Once the funds are gone, there is no way to retrieve them... Some exchange companies that offer to store the consumer’s virtual currencies in virtual wallets have been unable to protect them... Because virtual currencies provide some anonymity, criminal elements have found them useful for money laundering and other crimes. When exchanges are shut down as a result of either knowingly or unknowingly facilitating a crime, customers may have difficulty accessing their funds." Earlier this month, the U.S. Securities and Exchange Issued an alert about Bitcoin and other virtual currencies. So, the old saying apples: do your homework first. Wise consumers should first check the financial laws in their state to see what regulations and protections exist, if any. A prior blog post discussed the Target data breach, the retailer's security preparations, and management's post-breach response. 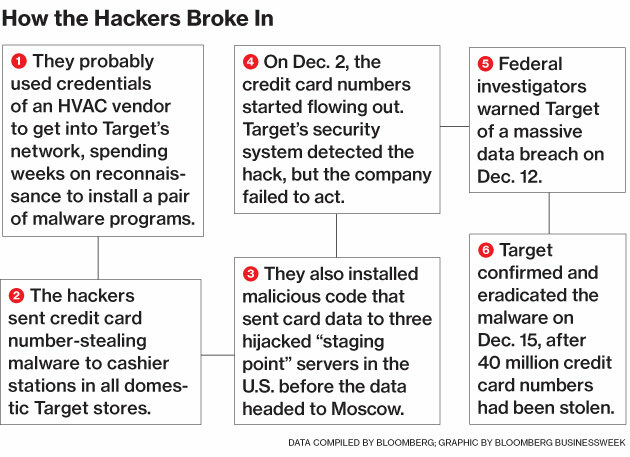 Months before the breach, Target installed robust breach-detection software. During the breach, that software provided alerts which management missed. That blog post referenced a Bloomberg Businessweek article which reported breach details. The Businessweek article went further and explored possible links between the breach and Russian hackers operating in Odessa, Ukraine. First things first. There will be plenty of time later to profile the hackers. Today, stay focused on breach details, the retailer's post-breach response, and the breach investigations. The goal is to report what happened so things can be fixed. Consumers want and need to know they can trust banks and retailers to protect their payment card information. "... investigators believe the source of the Target intrusion traces back to network credentials that Target had issued to Fazio Mechanical... Multiple sources close to the investigation now tell this reporter that those credentials were stolen in an email malware attack at Fazio that began at least two months before thieves started stealing card data from thousands of Target cash registers. Two of those sources said the malware in question was Citadel – a password-stealing bot program..."
Fazio confirmed that it experienced an attack (Adobe PDF). The KrebsOnSecurity article included a "theory" about how hackers with billing credentials accessed systems with point-of-sale cashiers. I expected something more definitive than a "theory." I expect something more definitive than "investigators believe" -- ideally, "investigators analyzed" or "investigators found." Knowing the exact scenario is important, so relevant fixes can be applied to prevent a massive breach like this from happening again. Hopefully, Target's final breach investigation report will clarify and explain things. I wonder about the investigators' conclusions. How do investigators know with 100 percent certainty that (only) this specific HVAC vendor breach was the setup? How do the investigators know that credentials weren't stolen from any other Target vendors? How do investigators know that no other vendors experienced data breaches allowing hackers access to Target's systems? "Companies performing these [payments processing] roles for Target were identified in a research note by Robert W. Baird & Co analysts on Dec. 19... the merchant acquirer used by Target for credit and debit card transactions is Bank of America Merchant Services, a joint venture of Bank of America and KKR’s First Data Corp... The note also identified Vantiv of Cincinnati as processing transactions for Target customers who type in personal identification numbers for debit transactions... Target-branded payment cards are issued by Toronto’s TD Bank Group." Regular readers of this blog recognize First Data and understand how much information the processor collects about consumers. (New to this blog? To learn more, select "Data Breaches," "Payment Procesors," or "Retail" in the right-column tag cloud. Or enter a company name in the right-column search mechanism.) Regular readers of this blog also recognize Bank of America Merchant Services, and its joint venture with First Data to process the payment transactions of the bank's retail (e.g., checking, debit card, credit card) customers. Other banks probably have similar arrangements with First Data. Target's REDcard loyalty program includes the Target-branded credit and debit payment cards. According to a quarterly filing with the S.E.C., REDcard penetration increased from 12.8 to 18.6 percent during 2013. That's huge growth in one year. Good for Target: its shoppers like using REDcards. Bad for Target: its data breach has threatened that growth, REDcard usage by shoppers, and payments processors' revenues (and profits). Smart hackers would focus on vendors with the best credentials; credentials that provide the best access to Target's computer systems and network. Another question: which vendor probably has the best credentials: a small HVAC vendor or a key business partner? The KrebsOnSecurity article discussed how Target required two-factor authentication for some vendors and not others. Maybe a small HVAC vendor was the easiest way in for the hackers. Maybe not. I hope that the formal Target breach investigation clarifies and explains things. Maybe the answers will be the same as reported in the KrebsOnSecurity article. Or maybe not. "First Data processes some transactions for one of Target's acquirers, but we have no indication that our systems were involved in any of the incidents reported by Target,"
Hmmm. 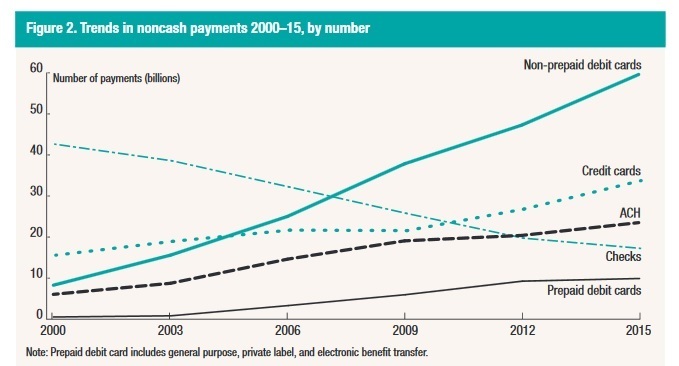 Payments processors have had data breaches... massive ones. You may remember the Global Payments and Heartland breaches. First Data Corp has experienced a data breach too, at its Western Union unit. Reportedly, the U.S. Secret Service is also investigating the Target data breach. That implies an interest in any systemic retail or banking security issues affecting the country's money supply. Systemic issues that come to mind are breaches at multiple retailers, the obsolete technology for payment cards, weaknesses in retail payment processes, and breaches at banks or payments processors. To me, a breach at a tiny HVAC vendor don't seem to rise to level of systemic. Again, this is all speculation. I'm not saying one of Target's partners was breached. I don't have access to the data investigators have. All I'm saying is that a thorough, broad breach investigation needs to ask the question: was anyone else breached? 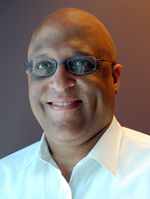 The Target breach shook consumers' trust, and the breach investigation needs to address that. Trust matters. 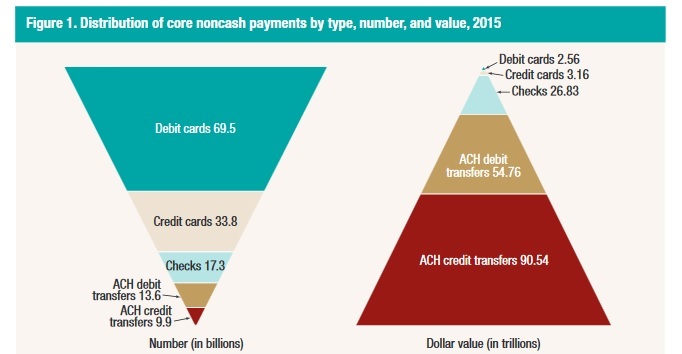 Consumers want to trust that banks and retailers can protect their card payment information. Maybe the answer to this question will be the same; a small HVAC vendor's breach was the setup. Maybe not. A lot has happened since January. When 110 million records are stolen, one has to ask... one has to look, thoroughly. I'd hate to think that the breach investigation stopped after finding the HVAC vendor breach and didn't look further for earlier breaches at other vendors or partners. If one wants to reassure consumers of secure card payment processes, you have to look further... and thoroughly. And if there were other breaches, report them, too. If a payments processor was also breached, then those partners would likely be added as defendants to any lawsuits. The Businessweek article mentioned 90 lawsuits. Several lawsuits have already been filed by banks and by shoppers. What's your opinion of the Target breach? What questions do you have? How were you affected by the Target breach? "... Target hackers have undertaken to selling location usage data alongside the card data, and can charge a premium for such data. Value added service to the fraudsters and clearly a strategy that is paying off. Fraudsters are paying anything between $20 and $100+ for a skimmed Target payment card – location data has added a premium to what the fraudsters charge. That’s puts the “value” on the 40million+ payment cards stolen from Target at between $800million and $4billion! If we assume that their ROI is a minimum of 10 times their “investment” then we are looking at a fraud value of between $8bn and $40bn." Plus, the numbers are much worse. Why? First, Target increased the size of its data breach to 70 million from 40 million. Second, this math is based upon what we know so far. The breach news is far from over. Third, news reports have mentioned three other retailers impacted besides the Target and Neiman Marcus breaches. This math is important because any risk-analysis systems used by retailers (and banks) use data elements (e.g., location data) that thieves have stolen... and will continue to steal. The thieves are upping their game, and industry needs to respond. It is long past time for the U.S. retail and banking industries to upgrade from obsolete credit/debit card technology to smart payment cards. The math is important to consumers. Why? You now know how valuable your location information is for thieves. Don't be so quick to give up your location data to social networking websites, banks, and retailers without getting something substantial in return. "... attacks on NASDAQ, 7-Eleven, Carrefour, JCP, Hannaford, Heartland, Wet Seal, Commidea, Dexia, JetBlue, Dow Jones, Euronet, Visa Jordan, Global Payment, Diners Singapore and Ingenicard." "The five men each served particular roles in the scheme. Vladimir Drinkman, 32, of Syktyykar and Moscow, Russia, and Alexandr Kalinin, 26, of St. Petersburg, Russia, each specialized in penetrating network security and gaining access to the corporate victims’ systems. Roman Kotov, 32, of Moscow, also a hacker, specialized in mining the networks... The hackers hid their activities using anonymous web-hosting services provided by Mikhail Rytikov, 26, of Odessa, Ukraine. Dmitriy Smilianets, 29, of Moscow, sold the information stolen by the other conspirators and distributed the proceeds of the scheme to the participants. Kalinin and Drinkman were previously charged in New Jersey as “Hacker 1” and “Hacker 2” in a 2009 indictment charging Albert Gonzalez, 32, of Miami, in connection with five corporate data breaches – including the breach of Heartland Payment Systems Inc.,..."
Drinkman and Smilianets were arrested in the Netherlands on June 28, 2012. Smilianets was extradited to the USA on Sept. 7, 2012, The other three defendants are still at large. Four defendants are Russian citizens. Rytikov is a citizen of Ukraine. The number of 160 million cards stolen is an estimate, and could be higher. "The five defendants conspired with others to penetrate the computer networks of several of the largest payment processing companies, retailers and financial institutions in the world, stealing the personal identifying information of individuals. They took user names and passwords, means of identification, credit and debit card numbers and other corresponding personal identification information of cardholders." Thanks to the several federal agencies involved in pursuing and capturing these defendants. To me, this case is another example that identity-theft thieves and fraudsters are smart, creative, organized, and persistent. The days of the lone hacker are gone. Identity thieves target firms they believe are vulnerable. Identity thieves go where the money is. I find this case highly interesting, as both Global Payments and Heartland experienced massive breaches previously. 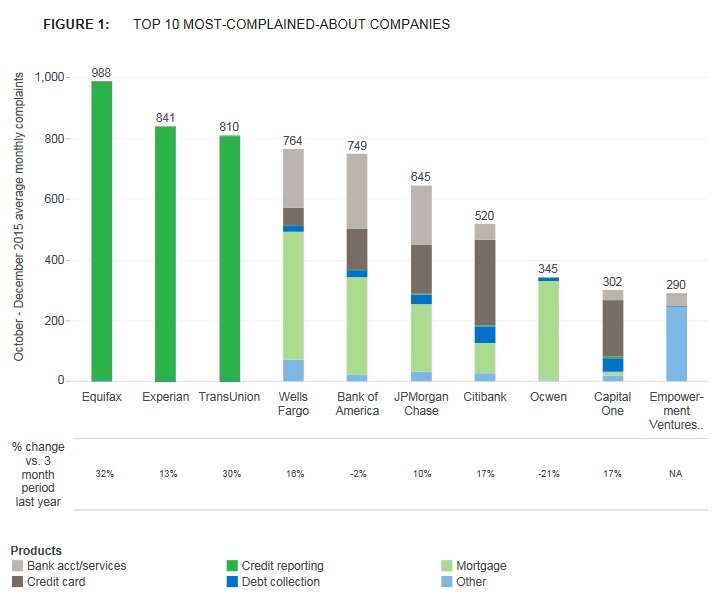 That the hackers targeted these and other payments processors means that all of these firms' computer systems are still vulnerable, despite executives' claims otherwise. When consumers purchase a product or service with some form of plastic (e.g., credit cards, debit cards, prepaid cards) and their mobile device, usually several companies are involved in completing that transaction: getting the money to the retailer (online or brick-and-mortar). While many consumers may believe that only their bank is involved in processing the transaction, the reality is that more companies are often involved. One type of company involved are payment processors, companies that process these financial transactions. Sometimes these payment processor companies experience data breaches where sensitive customer information is lost or stolen. With recent events in the banking industry, and the spread of prepaid debit cards, this new topic can help you more easily read about and understand what is happening within the banking and retail industries. I have tagged this new topic retroactively to archived blog posts, so you read and understand the types of information available. 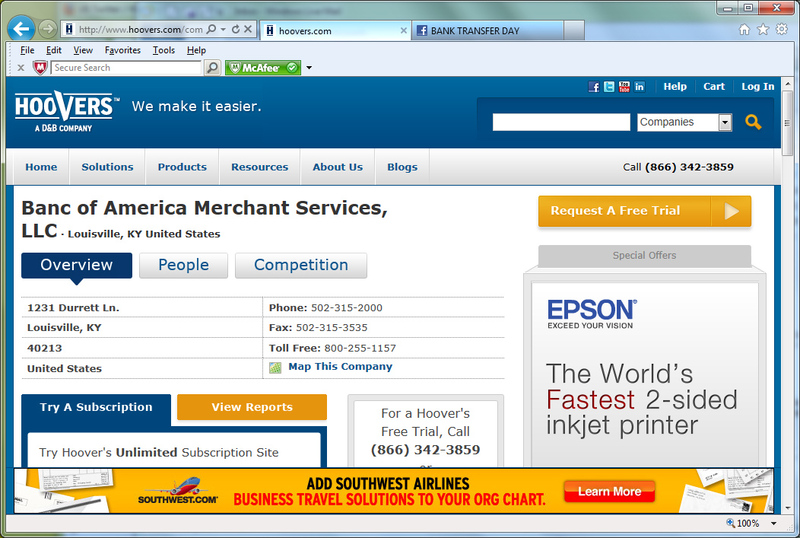 See the new "Payment Processors" topic. I hope that you find it useful.